e. Only gt/vo position was left behind. But Miki had idea, and proper sister for this. Yumi Uchizono(b. 18 Feb 1984, Tokyo, JAPAN; gt/vo), this is the name of her sister with passions for human and human’s karma. 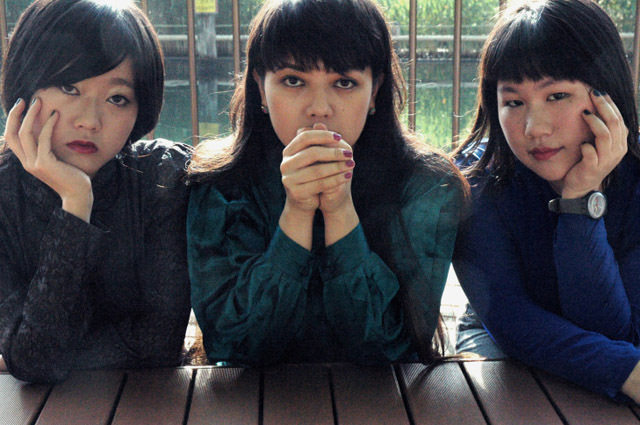 In this way, Japanene girls rock trio, THE AKABANE VULGARS ON STRONG BYPASS was formed. Initially, the band just enjoyed sharing the rhythms and exploding their souls at the stages. Point which they were concerned about was how they express their attitude to spectators. But they found that it was, if anything, more important to consider how they are able to influence their spectators. Of course, they knew it’s bold and cheeky perhaps. However up to now, they’ve been trying harder and harder to be interconnected to audience and share the emotional feelings and passion between the band and spectators. Most powerful catalyst to motivate the band is the vigor of man’s resurrection from the sorrowful and loss. This is what THE AKABANE VULGARS ON STRONG BYPASS would like to admire through their performing the songs. The coming 2012, they’ve been ready to face the world starting with SXSW.